Catalogue of a collection of 238 manuscripts, chiefly in Persian, acquired by Ivanow, collected mainly in Northeastern India, and brought by Wood to McGill University; a few titles already in the libraries of McGill University have been appended. Ivanow, W., & Wood, C. A. (1927). 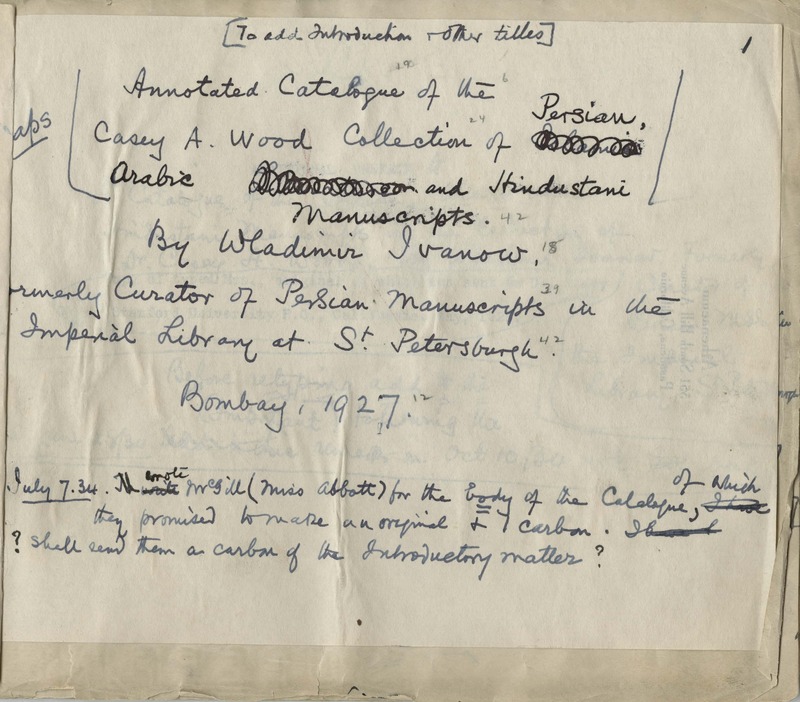 Annotated catalogue of the Casey A. Wood Collection of Persian, Arabic and Hindustani manuscripts. Page 1. 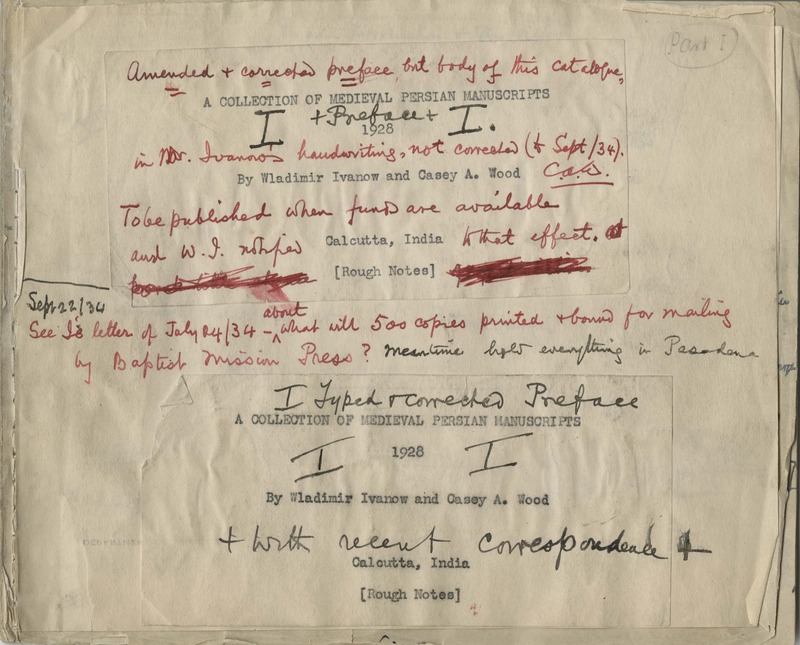 Included is Wladimir’s handwritten catalogue preceded by a typescript title page labelled “rough notes” with Wood’s handwritten annotations followed by Wood’s handwritten revised title page and table of contents, and a typescript preface with Wood’s handwritten revisions; this is accompanied by a typescript copy placed in loose-leaf covers of the revised title page and preface, and an outline of the parts of the catalogue, together with various other short sections of related information. Ivanow, W., & Wood, C. A. (1927). 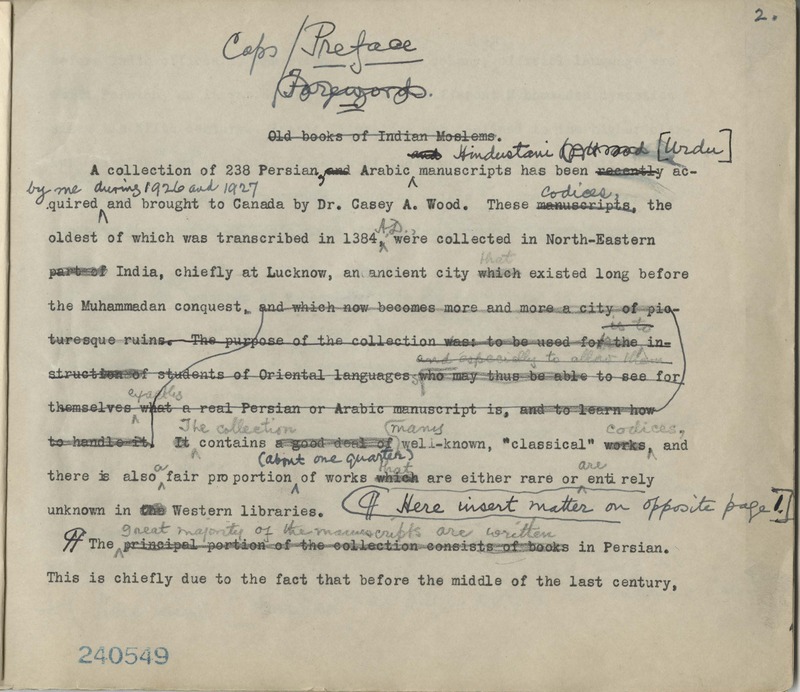 Annotated catalogue of the Casey A. Wood Collection of Persian, Arabic and Hindustani manuscripts. Page 3. The revised title page is dated: Bombay, 1927; the “rough notes” title page is dated Calcutta, India, 1928 and has Wood’s manuscript notations re publication possibilities dated 1934. Ivanow, W., & Wood, C. A. (1927). Annotated catalogue of the Casey A. Wood Collection of Persian, Arabic and Hindustani manuscripts. Page 7. 2 manuscripts one handwritten and typescript. 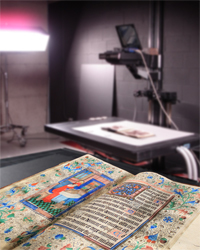 The handwritten manuscript is housed in a fall-down-back box 24 x 20 x 8 cm.